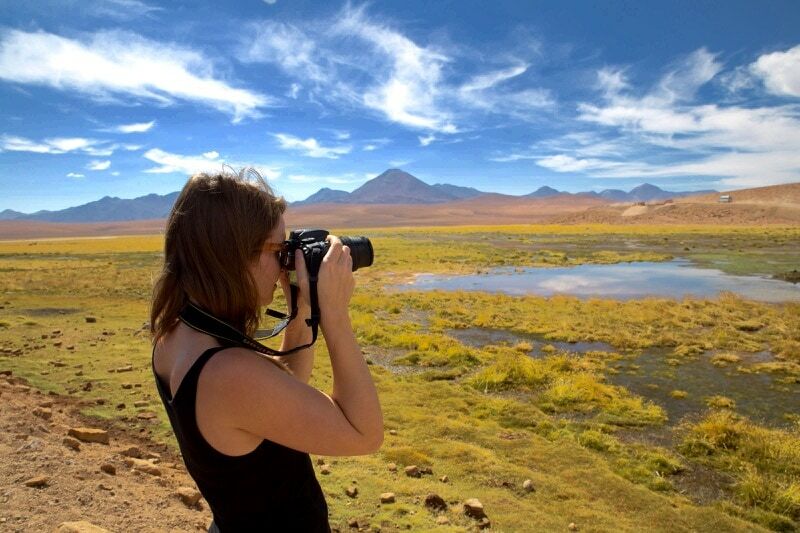 Travelling is good for you in so many ways! From making us more open minded and boosting our communication skills, to improving our sleep patterns and health, it’s time to find out the true benefits of travelling. Some interesting info popped up on Twitter today about travelling. 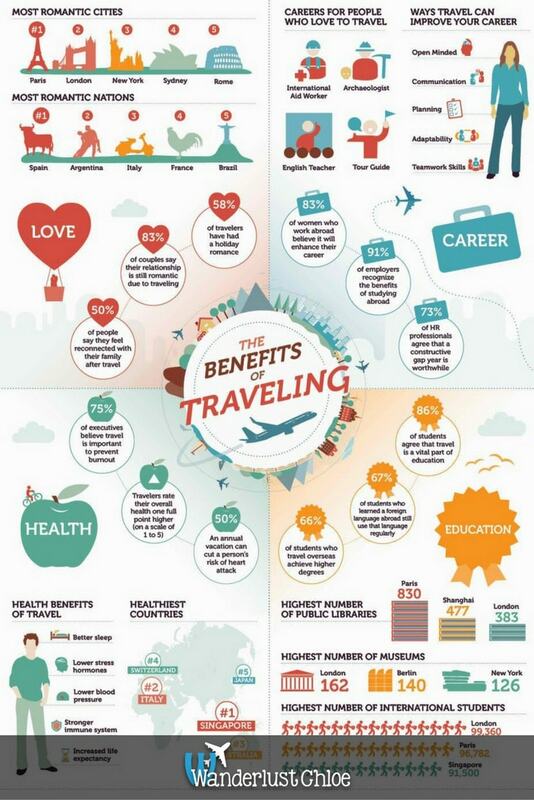 It was titled ‘The Benefits of Travelling’ and was a lovely infographic about this crazy obsession many of us have. I couldn’t wait to share it with you. Health benefits include better sleep, lower stress, lower blood pressure, stronger immune system and increased life expectancy. It’s funny, because often trips to the airport can feel quite stressful – packing, getting stuck in traffic, that moment you go through security and your heart races for no reason! However, as soon as you’re on the plane, the adrenalin and excitement kicks in, and then you relax into it. You feel free from the stress of work and home – a temporary detachment. You physically and mentally leave it all behind. As if these health benefits weren’t enough to convince you to book a trip away, you might also bag a better job as a result of your adventure. Career benefits include better communication skills, planning, teamwork and more. I certainly didn’t need convincing, especially as I’m off to Spain in the morning… but I loved the interesting stats they came up with! 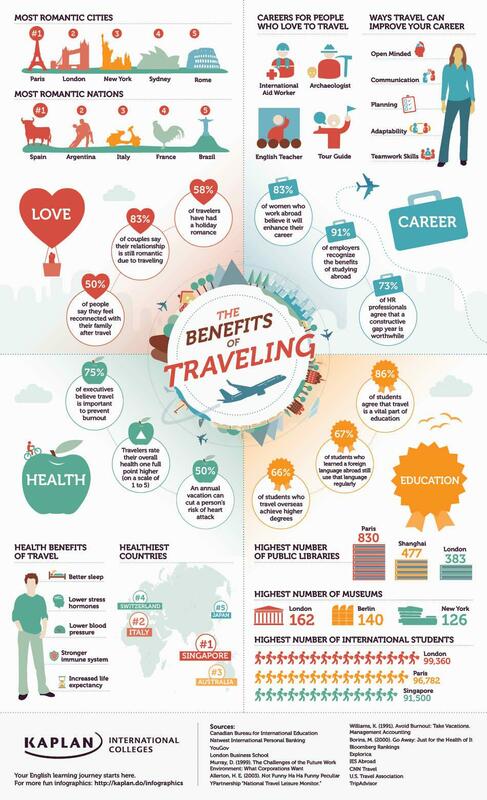 What do you think are the main benefits of travelling? Why do you go away, and what do you gain from it? Let me know below or tweet me @WanderlustChloe.